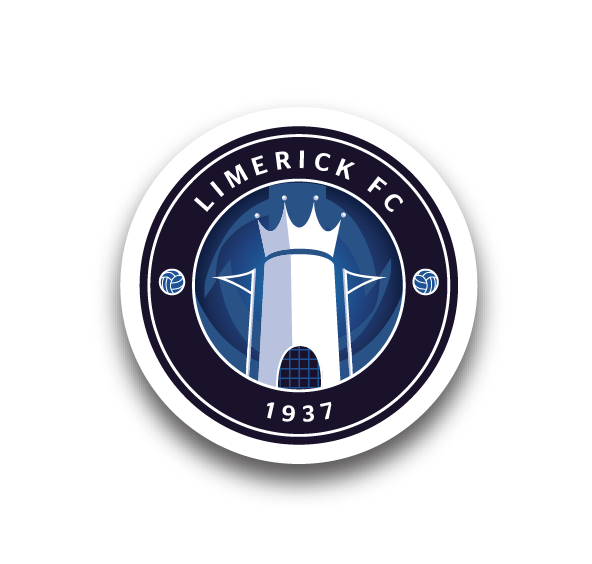 Limerick have been drawn at home to Cabinteely in the SSE Airtricity Under-17 Elite Shield quarter-finals, having eased through the first round at the weekend. 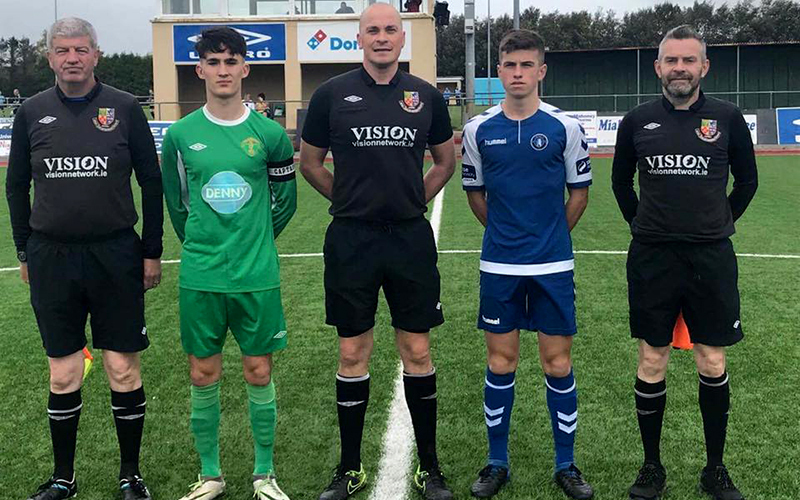 The young Superblues were convincing winners over Kerry as Dylan Kelly-Higgins hit two while Mikey Conlon, Kian Barry and Edmond O’Dwyer also netted in a 5-1 victory at Mounthawk on Sunday afternoon. Derek McCarthy’s side have been rewarded with a home quarter-final against fellow Southern Elite Division side Cabinteely, with the date and time of the tie to be confirmed in due course. The draw was made by John McGuinness and Michael Hayes of the FAI on Monday morning. 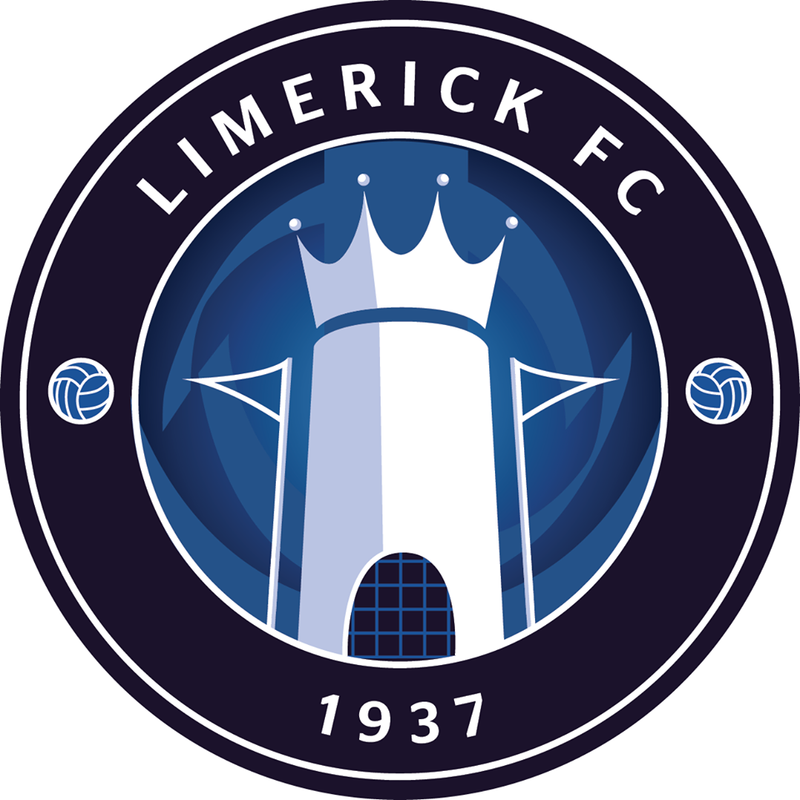 Limerick recently completed their league season with a scoreless draw against Cabinteely at UL. Should the Shannonsiders progress they would face a trip to the winners of Sligo Rovers v Bray Wanderers, with the eventual finalist from that side of the draw enjoying home advantage in the final. Photo: By Geraldine Nagle / Kerry District League Facebook. Pictured: Officials and captains prior to Sunday’s Shield game at Mounthawk; Limerick skipper is Tomás O’Connor.